We hope you will find it interesting, informative and easy to use! You can find your way around the site using the top menu bar but there are also quick access modules around the pages which will take you to news items, convenient weblinks and the Events Diary. Click on any event in the diary and it will take you to the event's own page where you will find all event detail. Note that there is now a separate diary for Open Competitions in Nottinghamshire. Junior Newsletter - A busy start to April! The first match of the season, and first outing for Paddy the mascot, was the 2nd Team friendly against Mapperley Ladies, which was played on Thursday 11th April. This resulted in a 3-0 win for the juniors. Well done to all who played and many thanks to Mapperley GC for their hospitality and continued support of the junior section. 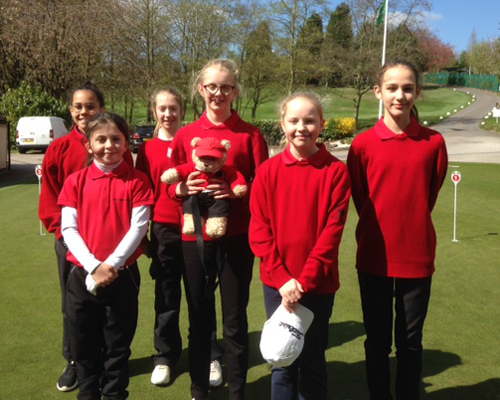 The Nottinghamshire Schools championships were held at Sherwood Forest GC on Friday 12th April. It was a brilliant day with 11 entries from girls. The gross winner was Amelia Wan and the nett winner was Jorja Newbold. Amelia, Jorja and Maddie Smith will go forward to represent Notts in the Midlands Competition. There was also a hole in one for Lexi Williams-Green! It was a week of tumbling handicaps - the girls have worked so hard on their game over the winter. 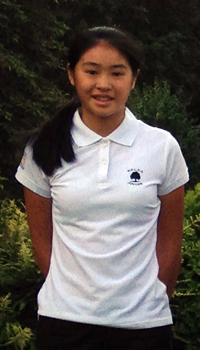 Jorja was also the winner of the Stanedge Junior masters this week - well done! Check out all the photographs at the end of this article. Read more: Newsletter - A busy start to April! 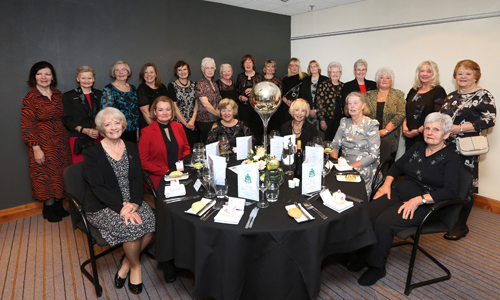 NCLGA President Maureen Clarke hosted the NUGC Annual Ladies' Dinner on behalf of the NU President Bob Ward, at the Crowne Plaza Hotel, on Friday 11th January. The England Golf President Desmond Duffy and Presidents and Past Presidents from many Counties attended the very popular NU Dinner. The Presidents’ wives were welcomed to the NU Ladies’ Dinner by Maureen, and after an excellent meal Maureen introduced the guest speaker Jan Palmer who gave an interesting talk about the History of Soap and the aromatics she uses in making natural soaps. Bob provided a beautifully wrapped gift of natural soaps for each lady, and a bouquet of flowers for Maureen. A vote of thanks was given by Mavis Peplow, Midland Golf Union President’s Lady. 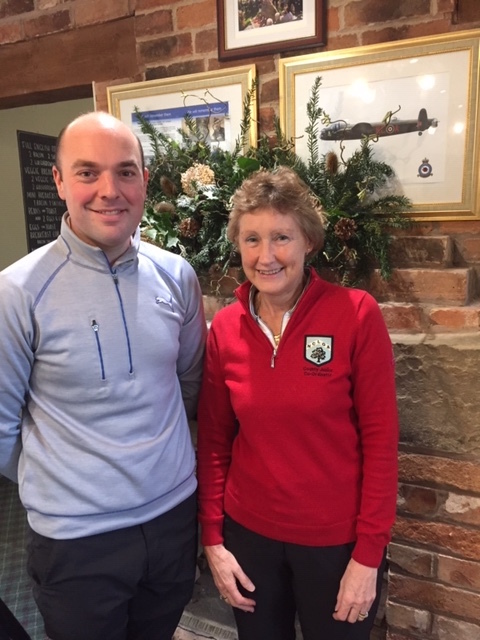 We are delighted to announce that, as of February 2019, Norwood's PGA Head Coach Richard Strange will be the new NCLGA County Girls Squad 'Training & Development Leader' and Norwood Park will be the home for the County Girls Squad Training. Sue Taylor, County Girls Co-Ordinator said, “We are really delighted that Richard has taken this role, with very exciting times ahead for the County Girls - Norwood has welcomed us so many times over the years and we are delighted to have a new home. The New Development Training Programme will enhance all the ongoing work that so many PGA Pros do throughout the county." PGA Award Winning Coach Richard is highly regarded both regionally and nationally by The PGA, The Golf Foundation and England Golf Active Notts for his outstanding work and efforts in growing the game. 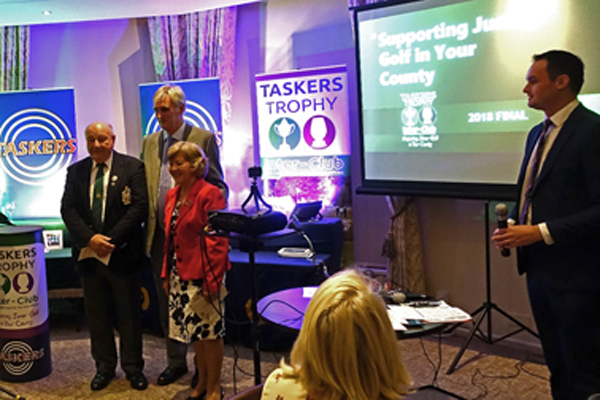 The Tasker's Trophy is an inter-club golf competition for the over 50s which supports Junior Golf in your County. The 2018 Final was played at Beeston Fields Golf Club on Sunday 21 October. It was a beautiful, warm Autumn day. The final of the ladies’ Ian Burtoft Trophy was Branston vs Lees Hall. Branston won 4/3. Branston won for the second year in a row – the first time this has happened in the history of the event. The men’s Taskers Final and Plate were also played and the Uttoxeter C Team beat Lutterworth B in the Final 4/3; the deciding match going to the 20th hole. Uttoxeter A beat Mapperley C 6/1 in the Plate. The Taskers Plate is for all men’s teams that get knocked out in the first round. If a few more ladies’ teams enter, the ladies will be able to have a ladies’ Plate competition as well.